Well, a big thank you to everybody that left suggestions on what to braai on our Facebook Page, by Twitter and email. We literally had hundreds of great things recommended to braai but we have trawled though them and I have chosen something that one of my favourite chefs from SA and this is one of his signature dishes. It’s from Rueben’s in Franschoek and was suggested by Carol from Manchester, thanks for reminding me about this fantastic dish, with a couple of adjustments by me. We will be in contact with you to arrange for you to receive your £50 of gift vouchers. 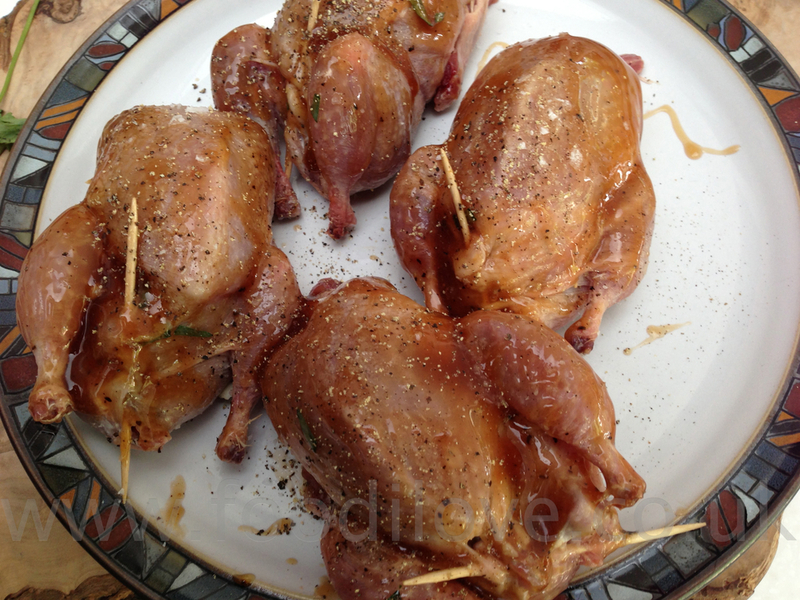 I decided to cook these birds over Kameeldoring Wood just to make me feel homesick and I had to substitute the raspberry for balsamic vinegar. Which worked very well but if you can get the raspberry it will be just that little bit more subtle. This recipe takes a little bit of effort but you will be rewarded with a great feast, give it a go. Preheat the Braai to 200°C (400°F) with a few bit of Kameeldoring wood if you have any, it just give it a fantastic flavour. 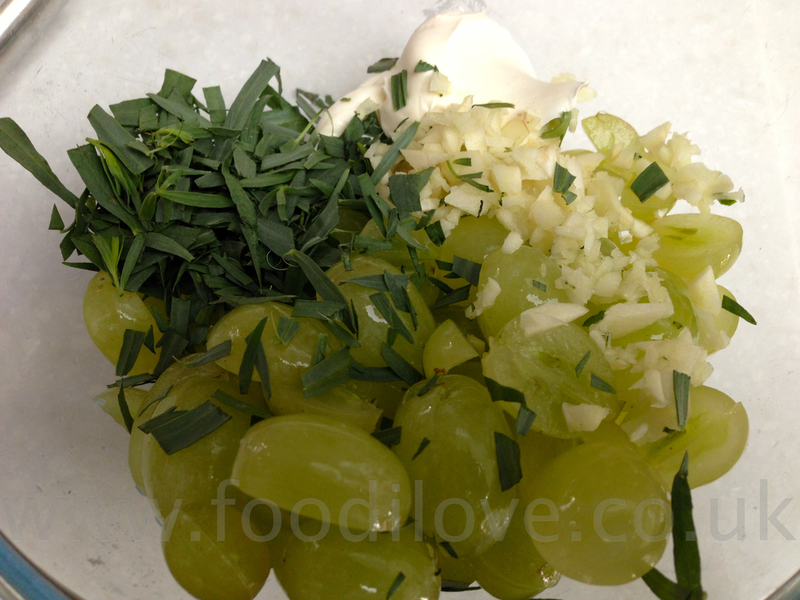 Combine the grapes, mascarpone, tarragon and chopped garlic. Secure the stuffing by using toothpicks to close the cavities. Season and brush with oyster sauce. 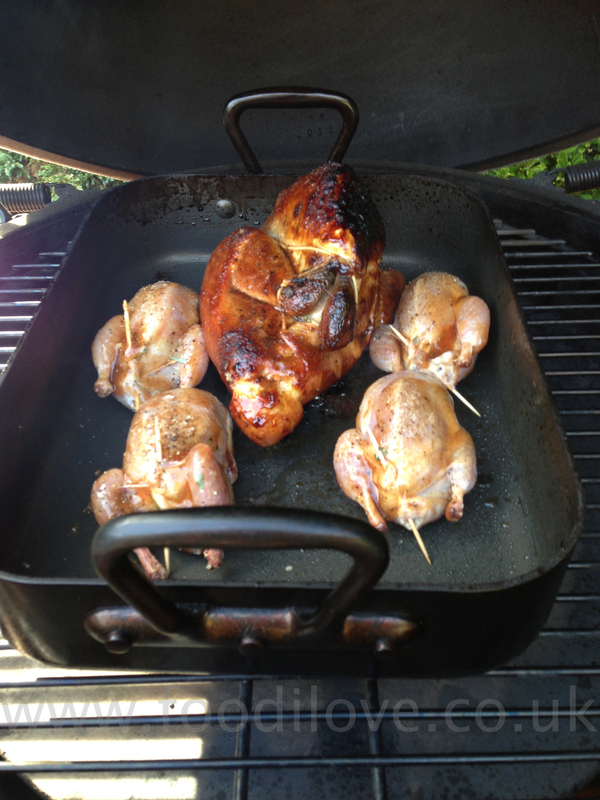 Place the Guinea Fowl on the braai first for 15-20 minutes on oven tray. 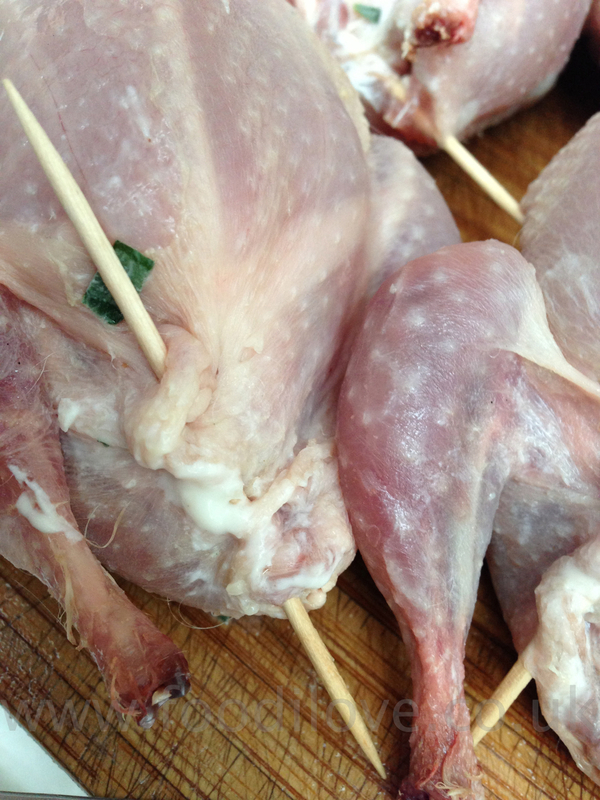 Cover the breast of the Guinea Fowl up after 20 minutes with a bit of silver foil to stop it from burning while the quail cooks. 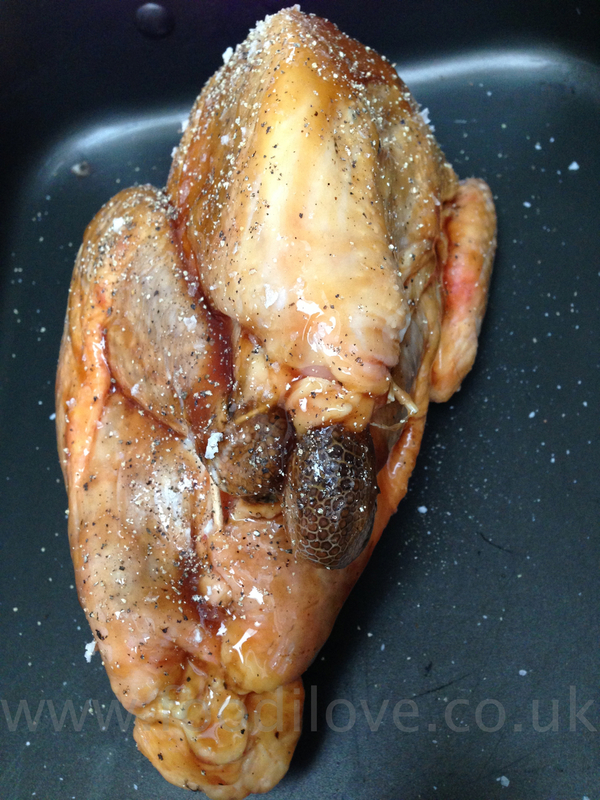 After the 20 minutes is up place the Quails next to the Guinea Fowl on oven tray and roast for a further 15-20 minutes. Remove from the braai and keep warm. 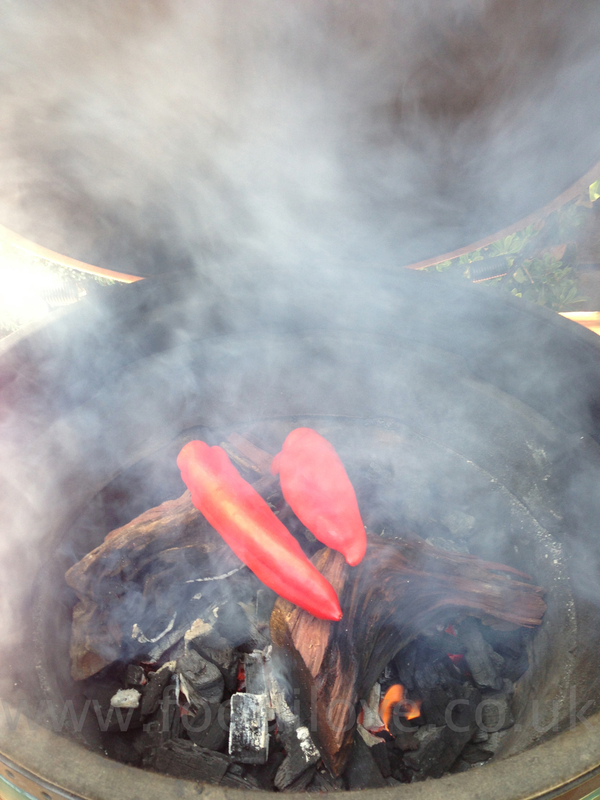 Either before or during the cooking of the birds’ place the red peppers on a hot braai, turning occasionally, allow the skin to blister. I did mine directly on the wood and it was fantastic! After about 8 minutes, remove the peppers and wrap them in foil or a plastic bag for 10-15 minutes. 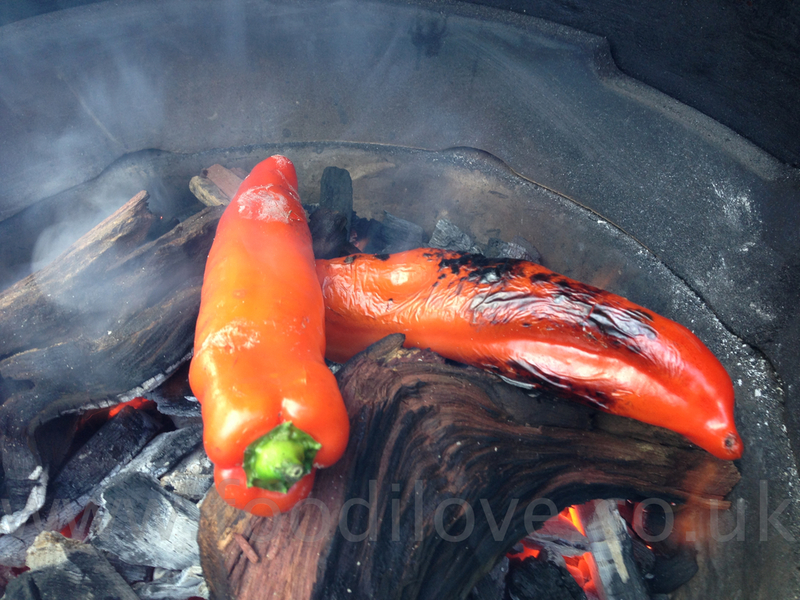 Remove from the wrapping, seed and remove the skin from the peppers and slice into strips. To serve, spoon the couscous on a plate. 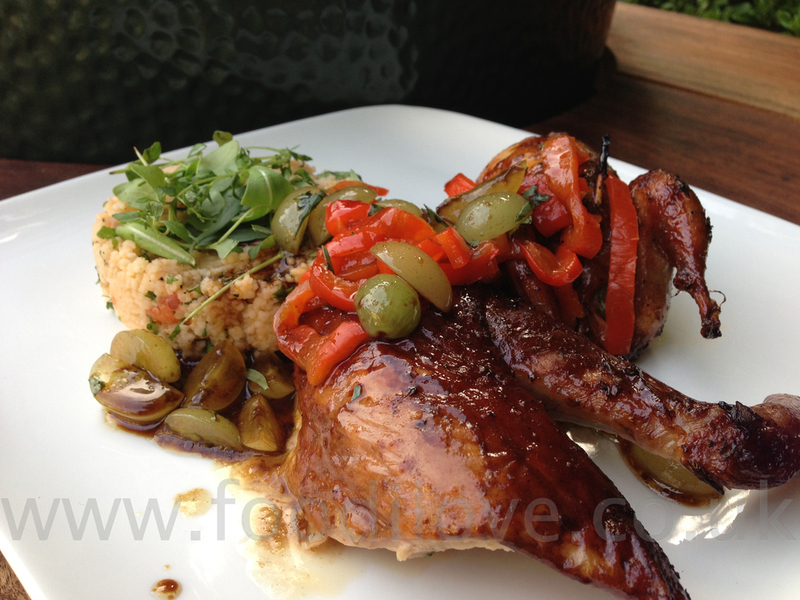 Top the quail and guinea fowl with roasted bell pepper strips. Spoon the dressing over and around the birds. Garnish with fresh herbs. Place the raw couscous in a medium-sized pot or bowl and add the boiling water a little at a time, stirring constantly with a fork. Do not add too much water, as you want the couscous to stay light and fluffy. When cooked, add the tomato, fresh coriander, ground coriander and olive oil. Season to taste and set aside. For the dressing, whisk the olive oil and balsamic vinegar together, unfortunately I could not get any raspberry vinegar in time, so I substituted balsamic and it was great. Next add the grapes, caster sugar and tarragon and stir. It’s that simple, all you need to do now is plate it all up, Enjoy! This is not the end but a start of a new era of this blog, I will still be braaiing every week, ;-) so don’t leave us. I will just not be blogging about everything I cook in such detail, more photo tweets etc. There will be a mixture of posts from guest bloggers, reviews from place and restaurants that I visit and I will still be offering the odd prize for you to win. So please feel free to let me what sort of things you would like to see me cook and eat and comeback on a regular basis or sign up and we will email you when I post something new. Thanks for all you comments and follows and keep spreading the word about this blog. Enjoy the sun and keep Braaiing. I haven’t cooked a lot of pork on the braai (except for ribs every week) so I thought I would give this very Italian recipe a go! The key to this being great is to find a butcher that will supply you with great pork to start with, ask him where it comes from and if he doesn’t or cant tell you, go elsewhere. If he can then get him to do the following for you: Ask him to chine and skin the pork loin (chining means removing the backbone from the rack of ribs so that you can carve between the ribs for serving). This dish is lightly flavoured so that the pork is the star and not the seasoning, so don’t over do it. This can be served with roasted vegetables and potatoes but at this time of year I like to dish it up with a fresh salad and rice. Prepare the pork by trimming the fat to leave just a thin layer. Take the backbone off but leave the rib bones on. These bones and fat keep the pork moist while it cooks. Take the pork and brown the meat on all sides on the braai. Add the garlic & sage to a baking tin and place the pork on top of them. Doing this makes a rack for the meat and prevents it boiling in its own juices instead of roasting. Season with salt and pepper and pour the milk over the pork and bring just to the boil. Add the lemon zest and drizzle the lemon juice over the loin and roast for about 20 minutes. Reduce the temperature to 150°C/300°F and cook for a further 1-11/4 hours. If necessary, add a little more milk every so often, to keep the meat roasting in liquid. Baste the meat with the juices every 30 minutes. Do not cover this will make sure that the juices reduce and the fat on the pork becomes crisp. To see if the pork is cooked take a skewer and stick it into the middle of the meat, count to ten and pull it out. Touch it on the inside of your wrist and if it feels hot, the meat is cooked through. Or you can use a food thermometer if you have one. Always leave the meat to rest for 10 minutes before carving. Strain the sauce as it will look curdled and serve with the meat. 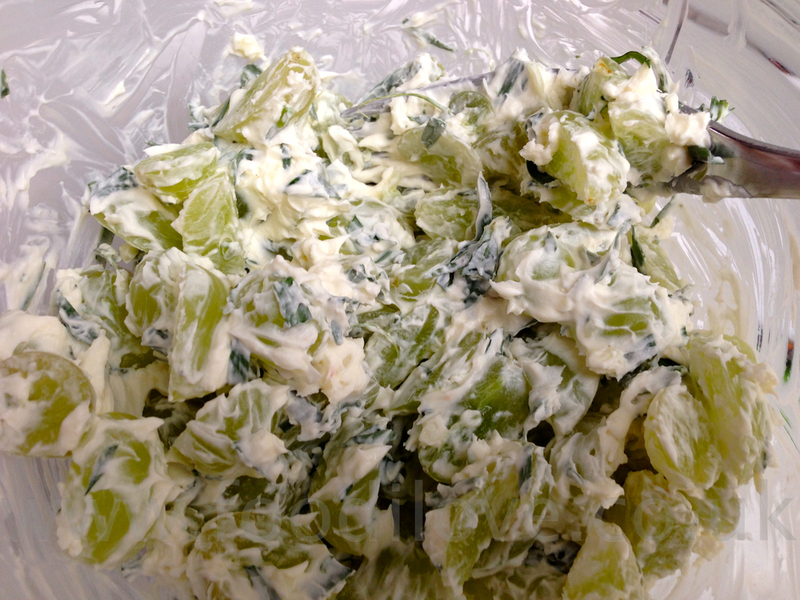 All that’s left to do now is serve with a fresh salad and rice and enjoy with a great chardonnay. This took a little time to prepare and cook but it was definitely worth it. The sage and garlic weren't to strong and did not over power the pork. Just remember that if you want to end up with a great dish you need to start with great meat, until next week happy Braaiing. 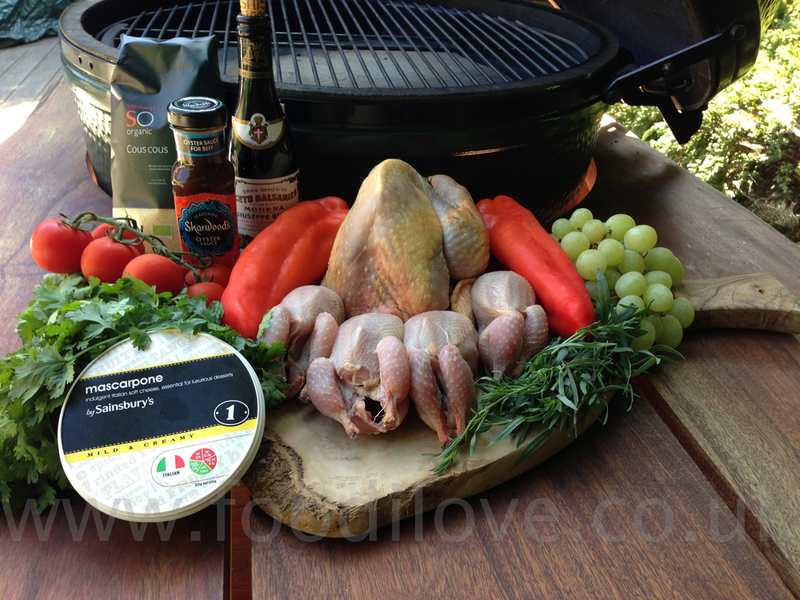 Hi and welcome to this weeks Braai blog. The sun's been out and shinning for over a week now and everybody seems a great deal happier so, it's time to try something from the sunny Mediterranean with a twist. This week I'm going to make stuffed peppers/capsicums. I've used three different coloured peppers but you don't have to you can use green, red, yellow or orange. It really doesn't matter what colour they are as its just different stages of ripening. However here is the twist I'm going to make this out of our Beef & Pork boerewors, it just makes this dish feel more South African. We will be giving away to 2 free packs of this Boerewors to some lucky winners this week. All you have to do is leave a comment in our comment section at the end of this blog. Heat the olive oil in a saucepan and cook the onion and pine nuts until the onion is soft and the pine nuts are light golden brown. Add the garlic and cook for a few minutes more, then set aside to cool. Take the boerewors sausage meat out of the skins. Put the herbs, fennel seeds, breadcrumbs, ricotta, Parmesan, lemon zest and egg in a bowl and add the boerewors mince. Add the cooled onion and pine nuts, season with salt and pepper and mix briefly until all the ingredients are combined. Cut the tops of the peppers off carefully and then scoop out the insides of all the seeds. Next spoon the mixture into a pepper so that they come just over the top of the peppers. Repeat with the rest of the mixture and peppers. Replace the tops back on to the stuffed pepper and they are now ready to cook. There are a couple of ways that you can cook this dish, I tried both and I think cooking them directly over the braai on a low heat for 15-20 mins is the best. The peppers will protect the stuffing and you will get that charcoal flavour from the braai that we all love. The other way is to place them in a potjie and cook like you would a pot roast for 20-30 mins with the sauce around the peppers or not. Its your choice! To make the sauce, if you are using fresh tomatoes, score a cross in the top of each one, plunge them into boiling water for 20 seconds, then drain and peel the skin away from the cross. Finely chop the flesh. Add the tomatoes and wine to the saucepan, season with salt and pepper and simmer for 5 minutes. Cover the saucepan and, cook for a further 10 minutes. Now all you need to do is serve this with some Tastic Rice and the tomato sauce on the side, magic. This makes a change to traditionally stuffer peppers and the boerewors takes on a different flavour with the added herbs, give it a go, you won't be disappointed. We are going to be giving away 2 Packs of Beef & Pork Boerewors this week so please leave some feed back and you could be 1 of 2 lucky people that get a chance to make this recipe. Also I love to hear what you think about what I'm cooking and please feel free to leave suggestions as to what you would like to see me cook in the coming weeks. Unfortunately this will only be open to people who live on the UK mainland as we cannot deliver any further afield. However please feel free to leave your comment, no matter where you live in the world, we always appreciate your thoughts . Entries will close on the 10th May 2013 and we will post the lucky winners in the comment section below. So be sure to check back and see if you’ve won. “Man” Its freezing out here and I'm cooking on the braai this week in the snow again, I'm definitely meshuggah! This week I'm cooking my version of this classic French dish with some healthy but extremely tasty Boulangerie Potatoes. Chateaubriand is a juicy-on-the-inside, seared and roasted beef tenderloin (fillet) with wine sauce frequently ordered for a table of two at French restaurants. Which, according to Larousse Gastronomique, was created by personal chef, Montmireil, for François-René de Chateaubriand, the author and diplomat who served Napoleon as an ambassador and Louis XVIII as Secretary of State for two years. This chateaubriand recipe is the traditional version of the restaurant favourite, seasoned very simply, roasted to perfection, and then sliced on the diagonal. Be sure to make the quick shallot and wine sauce and serve the meal with Boulangerie Potatoes. Peel, slice and place the potatoes in a bowl of cold water to prevent them from going brown. Chop up the onions and saute them in a knob of butter until they soften add the thyme and set aside. Take two small baking dishes (can use just one large) and add a layer of potatoes. Sprinkle them with some of the onion mix and some parsley and repeat until the dish is full. Pore over half of the chicken stock and finally put a couple of knobs of butter on the top to help brown them off. Place in the braai for 1hr at 180°C simple as that. Traditionally this dish is served with a Béarnaise sauce but I did not make it as I'm trying to be good lol. We made just a simple Red wine reduction with chicken stock but this is the recipe that I would have used if I was going for it. To make the béarnaise sauce, place the vinegar, white wine, peppercorns and shallot into a small saucepan and bring to the boil. Simmer until the liquid has reduced by half and remove the peppercorns then pour into a medium bowl. Grind the salt and pepper with a pestle and mortar, its amazing the aroma this gives off. Sprinkle the fillet with this mix liberally and set aside for later. Once the potato’s have been cooking for 1hr, turn up the braai to 260°C (500°F) and place the fillet in the Braai for 20 mins, turning regularly so that it does not burn. It shouldn’t take any longer that this as this dish is best served rare! Once cooked remove both the potatoes and beef from the braai and set the beef aside to rest for 15 mins. The potatoes will not go cold as the are in a baking hot dish. 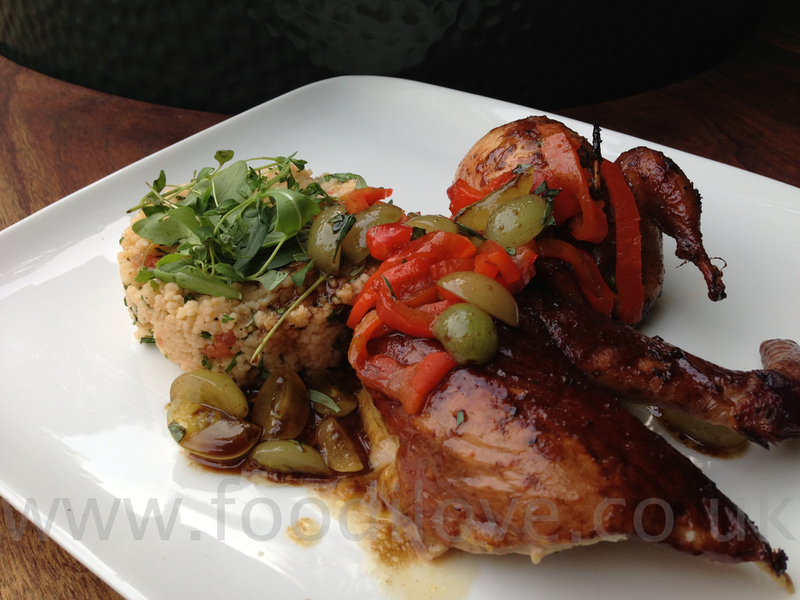 As a South african I love rice so we served this up with a helping of Tastic rice and vegetables. As you can see I only just managed to not overcook the fillet, that is the trick. Its so easy to leave it in the braai for a extra couple moments as you try to decide if its cooked enough. Remember when its resting its still cooking so don’t be tempted to leave it in the braai for a little longer. Please feel free to like and share this blog with other like minded nuts who enjoy Braaiing all year long. Christmas Lunch on the Braai, cooked on the BigGreenEgg! Braaiing in the rain in storm force winds. As I said last week I'm glad that I had a test run making half of the christmas lunch, thus giving me no excuses to get it wrong this week. In addition to cooking a Capon on the Braai I'm also going to braai a whole Rib Eye of Black Gold Beef which we sell in our shop and on the web site www.biltong.co.uk . I'm sure that most of you can remember having Christmas lunch around the pool or on the beach in 80 degree sunshine, well for me, those days are long gone and now I find myself braaiing in the rain and getting blown away at the same time. I must be nuts!! But I'm holding up the flame for US BRAAI NUTTERS from SA who insist on braaing on Christmas Day no matter what and I can tell you it was well worth the effort. Sorry if i'm repeating myself but I will be listing the recipe for the Capon again plus the cooking instructions for the rib eye. The spicing of the Beef is going to be very basic but simplicity is the best way to braai beef in my opinion. As this is being posted after Christmas Day, I hope that you all enjoyed the festive season, whatever you were doing. Needless to say the curry that I hinted at was not required as the meat part of the lunch turned out perfectly as well as the accompanying vegetables that were prepared and cooked by the rest of the family. Pour the salt and pepper corns into a pestle and grind into a course mix, this is so much better than using pre ground as the aroma’s really come out. Rub the mix all over the beef 5 minutes before you place on the braai to cook, this is so that the salt does not take all the moisture out of the beef. You want it to season, not preserve. 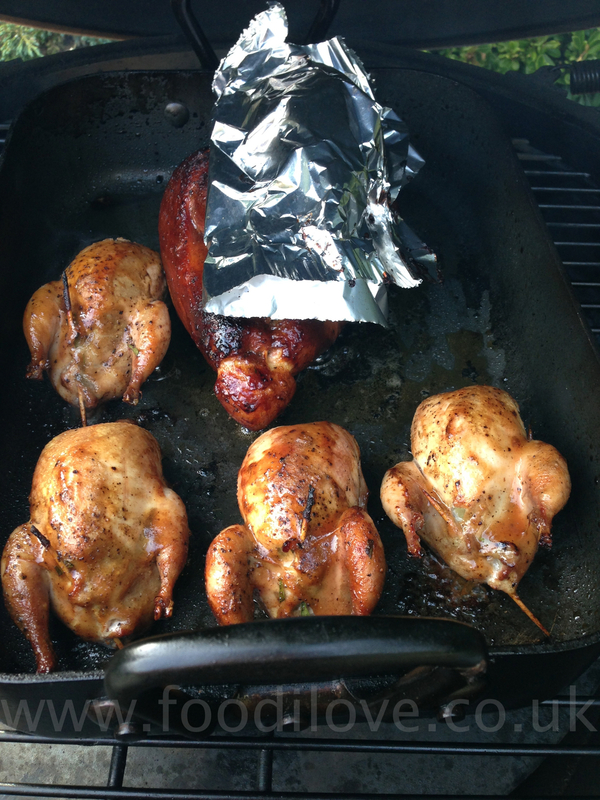 Place on a roasting rack, cover with tin foil and place in the braai for 1hr. After an hour take the foil off and allow the beef to colour for about 30 mins, this should give you medium rare beef, add 15mins to bring to medium and another 20 for well done. Once cooked take out of the braai and allow to rest for 20 mins before you carve. Take a knob of butter and slide it under the skin on the Capon along with some thyme, this will help the breast stay succulent. Next mix the sliced lemon with the remaining thyme and place it inside the cavity of the capon and position it in the centre of the tin. Add some seasoning then arrange the vegetables all around. Add more seasoning, then place the capon on a rack in the middle of a roasting tin, Cover the Capon with some silver foil. Then place it on the centre shelf of the braai and time it for 90 minutes without opening the lid. Then remove the foil and allow the capon skin to crisp up for 20 mins (Because Braai`s vary, test the thickest part of the chicken with a skewer – if the juices run clear it is cooked. If not give it another 10-15 minutes). Now remove the vegetables to a serving dish and keep warm. 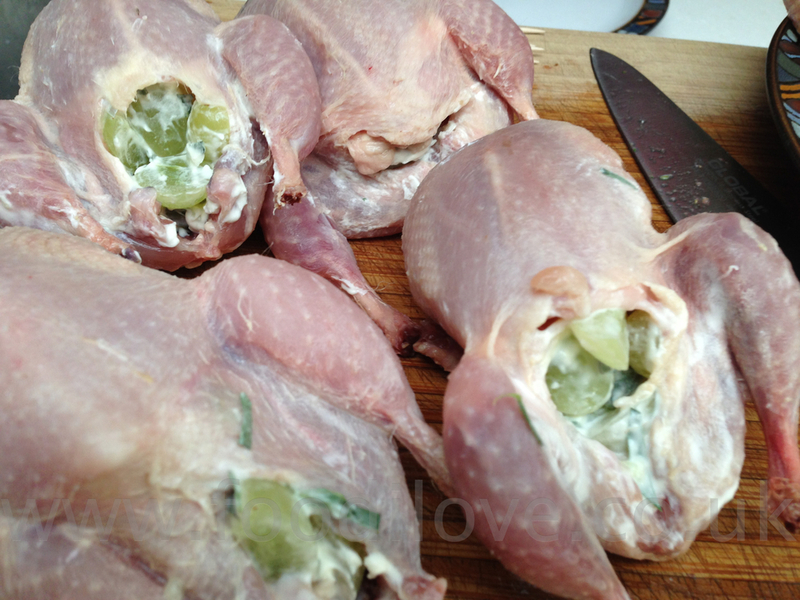 Then spoon out the lemon slices into the tin, put a wooden spoon into the cavity and, using a spatula to hold the breast end up, tip the capon and let all the juices run out into the tin. Transfer the capon to a carving board and leave it in a warm place to rest for 20 minutes. Next stir the juices in the tin to release any crusty bits and transfer everything to a medium saucepan. Now add the wine, bring it up to a simmer and let it bubble and reduce by half – this will take about 8-10 minutes. Then add the lemon juice, taste and season. Carve the capon and serve with the vegetables on warm plates. Add any escaped chicken juices to the sauce then spoon it over the chicken and serve the rest in a warmed jug.